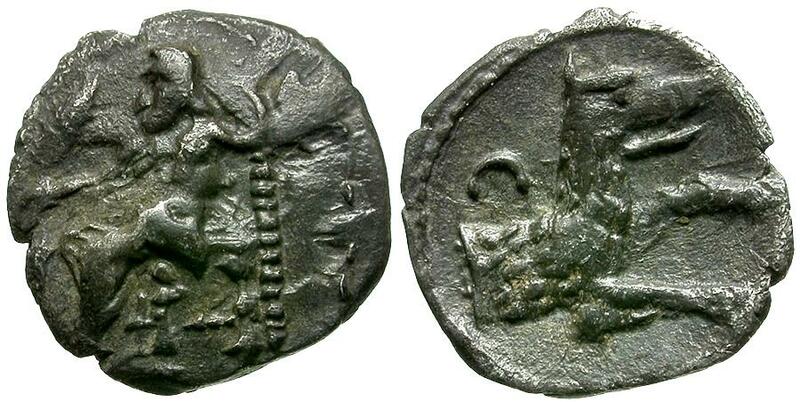 Obverse: Zeus seated left, holding grapes and grain ear in right hand, sceptre in left. Reverse: Forepart of wolf right, crescent above. Description: VF with choice gray toning.